Epic Aircraft (Booth No. 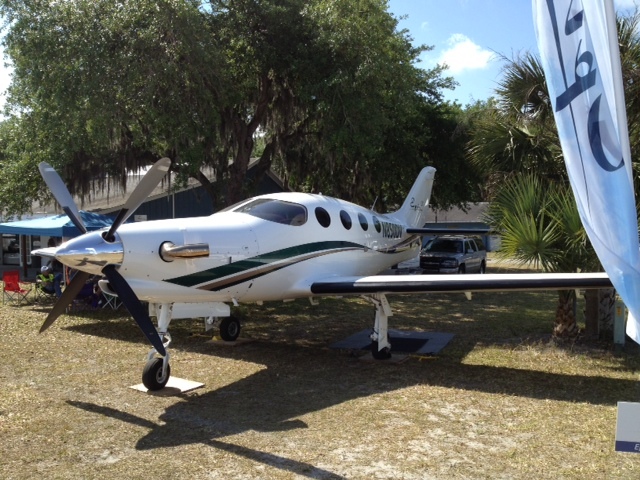 SNF-003) plans to gain FAA certification for its Epic LT turboprop single late next year, the Bend, Ore.-based company told AIN at the Sun ’n Fun Fly-in in Lakeland, Fla. It has already fielded 40 owner-flown versions of the 325-knot airplane, with S/N 49 now on the production line. The company is now using a demonstrator for initial flight testing and will soon start building two conforming prototypes that it will use for FAA certification efforts. Both prototypes are expected to be flying by year-end, according to company president Doug King. While the certified and owner-flown versions are identical aerodynamically, there are some minor differences, King said. The certified Epic LT will have a stick shaker, with a resulting stall speed in the mid-60-knot area, and certified glass-panel avionics (owner-built models are experimental, so owners can choose to install uncertified avionics). Owner-built Epic LTs are priced at $1.95 million, while the certified copies will sell for $2.75 million. The first year of production for certified LTs is already sold out, King said, and next available deliveries are in 2016.